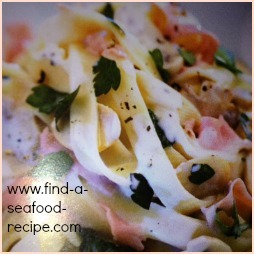 This recipe for seafood alfredo takes the creamy alfredo sauce and adds some seafood - prawn (shrimp)and scallops in this instance, but you can choose a mixed seafood if you like. 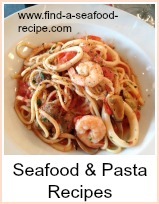 I like to serve it over fettucine, spaghetti or tagliatelle but you can choose any other pasta you prefer. It's a heavily creamy sauce and you will need to be careful when heating it that you don't let it boil or it might separate and curdle. Melt half the butter in a frying pan and lightly cook the garlic, until softened. Add the scallops and cook until firm - then add the prawns and heat through. Remove and keep warm whilst you make the rest of the alfredo sauce. Melt the rest of the butter over a low heat. Remove the pan from the heat and stir in the cream and cheese. 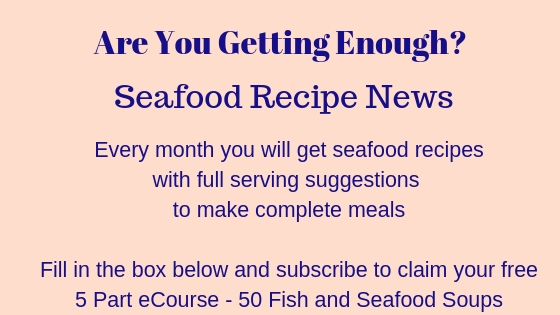 Return to a low heat and do not allow the mixture to boil - it will separate - stir until it's thickened and then add the scallops and prawns to the cream mixture. Reheat very gently and pour over freshly boiled fettucine. Extra parmesan cheese can be served to sprinkle over and I would highly recommend some lovely fresh crusty bread and butter to mop up the sauce. 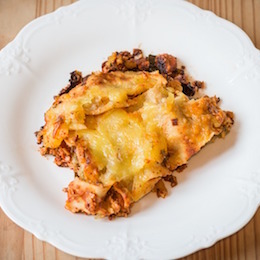 This is an excellent recipe for a dinner party but it is very rich and so you would need to serve simple starters and dessert unless you want to feel slightly queasy! 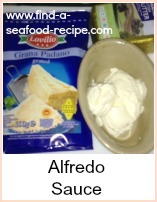 Gorgeous creamy alfredo sauce with the addition of seafood - a winning combination.